With the signing of the Peace Accords between the Government of Guatemala and the URNG in 1996, Central America’s last armed conflict came to an end. In a post-conflict political situation, in spite of efforts in plans and policies, Central America has yet to revert a structural housing deficit. Without further delay, the Posconflicto Laboratory declares the urgent necessity of a project to rethink architecture, the city, the territory and the idea of the political, to guarantee housing access to all —especially the most disfavoured and vulnerable. 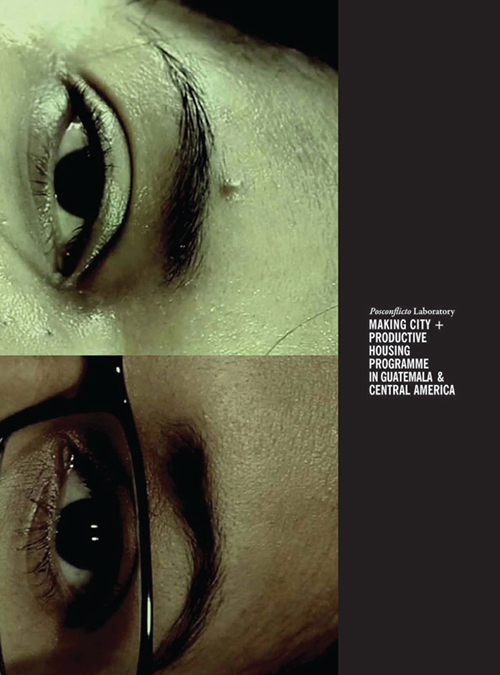 The Productive Housing Programme, proposed by Posconflicto Laboratory, with a pilot project in Guatemala City, is directed towards the construction of a national and Central American housing policy. Fundamentally, the programme proposes to reinstall the principle of subsidiarity through the provision of a new political pact. In a laboratory method, architecture becomes the foreground and pro-active, and acts as a steering agent for the urgent provision of housing and the possibility of making city in Central America. The Posconflicto Laboratory book describes the project's development from its very beginning, including the social and political frame, the emergence of self-managed housing cooperatives, mutual aid and collective ownership. It also frames the urban and technical constrains, in evaluating an archetype solution as a city-architecture project, and at the same time considering the social challenges of its implementation, reflecting upon its goals and shortcomings. Asociación Centroamericana Taller de Arquitectura (a—c—t—a). Editor: Roberto Soundy, Eva Campos, Silvia García Vettorazzi. Contributors: Pier Vittorio Aureli, Carlos Ayala, Teddy Cruz, Luis Estrada, Gustavo González, Benjamín Nahoum, Arjen Oosterman, Joaquín Orellana, Simón Pedroza, Martino Tattara, Álvaro Véliz and Elia Zenghelis.